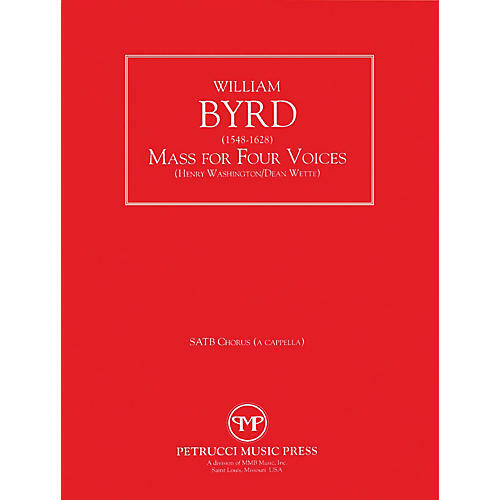 This publication of William Byrd's Mass for Four Voices by Dean Witte expands on Henry Washington's celebrated 1959 performer's edition. It features judiciously updated notation and text underlay that helps clarify many matters of interpretation and also conforms with more recent practices in editing early music. This edition otherwise preserves the essential practical focus introduced by Washington, including the step-downward transposition of the music.